The 2015 Ford Mustang Convertible has a new turbocharged EcoBoost® 2.3-liter and an upgraded 5.0-liter V8 engine with more than 420 horsepower (above) and manual or automatic six-speed transmissions. The 2015 Mustang convertible roof uses a new electromechanical drive and single-handle center latch to lower in half the time of the current car and features a standard fabric outer layer and is fully lined and insulated for quieter ride. The more compact roof and flat load floor enabled by the new suspension boost trunk volume by 19 percent to 11.4 cubic feet, big enough for two large golf bags, even with the available premium audio subwoofer. The lower liftover height also makes it easier load up the trunk. BMW Group plans to invest $1 billion in it’s Spartanburg, South Carolina plant, and it includes manufacturing the BMW X7, all-new, larger X model, adding to the X3, X4, X5, X6 line-up being built at Plant Spartanburg which already exports, on average, 70 percent of its annual production with a 2013 value of more than $7.5 billion. The plant’s annual production capacity will expand by 50 percent from around 300,000 up to 450,000 vehicles by the end of 2016 creating an additional 800 jobs, increasing the total workforce to 8,800. 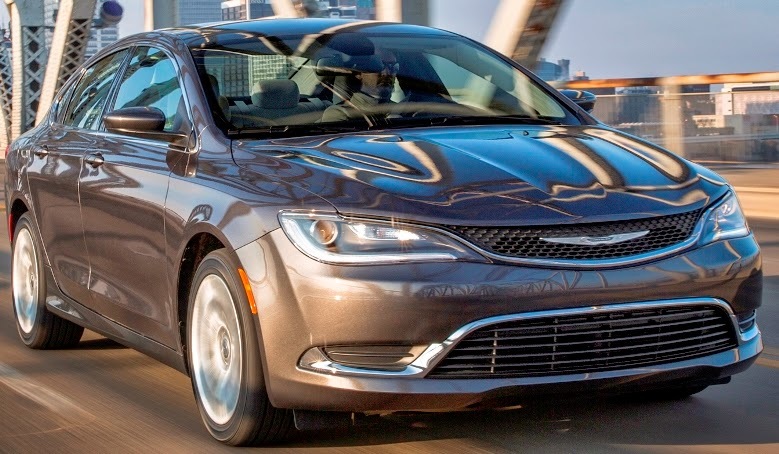 The all-new 2015 Chrysler 200 with the standard 184 horsepower 2.4-liter Tigershark MultiAir®2 I-4 engine mated to a nine-speed automatic transmission achieves 23 mpg city, 36 mpg highway and 28 mpg combined, five highway miles per gallon better than the outgoing model and has a starting MSRP of $22,695 (including $995 destination charge). The 36 highway MPG is a bit better than first thought. The 295 horsepower 3.6-liter Pentastar V-6 engine delivers an EPA highway fuel economy rating of 19 mpg city, 32 mpg highway and 23 mpg combined, for a three-mile-per-gallon highway improvement over the outgoing model. The available all-wheel-drive system features a one-speed power transfer unit and uniquely disconnects and reconnects the rear axle, automatically and seamlessly, as needed and at any speed. 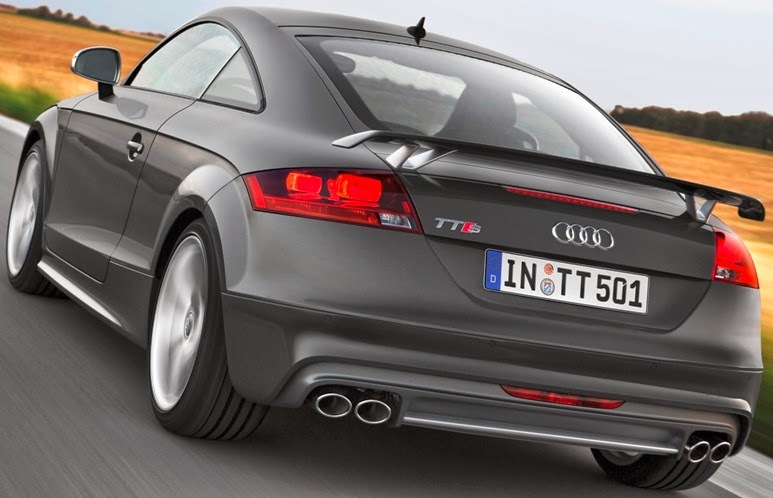 The 2015 Audi TT Coupe and Roadster, built with a high-strength aluminum frame structure, are powered a 211 horsepower 2.0-liter TFSI® turbocharged and direct-injected, four cylinder engine while the high-performance Audi TTS Coupe and Roadster get 265 horsepower out of the 2.0-liter TFSI® turbocharged and direct-injected, four cylinder engine, both mated to a six-speed S tronic® dual-clutch automatic transmission. For the 2015 Model Year, the Audi TTS has a new optional Competition Package, which includes new exterior paint in Imola Yellow or Nimbus Gray, a fixed rear spoiler, 5-arm-Rotor wheels with silver finish, Baseball Optic leather seats w/ Imola yellow accents and contrast stitching. Also for the 2015 Model Year, the TT Coupe and Roadster will offer the optional S line® plus carbon package and will have standard 5-arm-Dynamic design wheels. A roll-bar covered in black leather will be optional for both models.The TT and TTS offer an available twelve-speaker BOSE® sound system. An available Navigation package includes the Audi parking system with rear acoustic sensors, as well as the Audi Music Interface. The available DVD-based Audi Navigation plus system features a full-color 6.5-inch LCD screen and MMI® control logic for AM/FM and SiriusXM® Radio, real-time traffic, AMI in the glove box and two SD® card slots for MP3 music. The 2015 Acura TLX will offer two advanced new powertrains - a 2.4-liter 16-valve, direct-injected i-VTEC® 4-cylinder engine mated to an all-new 8-speed dual-clutch transmission with torque converter and a 3.5-liter 24-valve direct-injected i-VTEC V-6 mated to a new 9-speed automatic transmission and will utilize the next-generation of Acura Precision All-Wheel Steer™ technology with independent left and right rear-wheel toe angle control. The Porsche Boxster GTS (above) and Porsche Cayman GTS (below) will be offered as GTS models with an additional 15 horsepower compared to their "S" model counterparts, so the Boxster will have a 330 horsepower 3.4-liter 6-cylinder boxer engine and the Cayman GTS 340 horsepower. The Sport Chrono package is a standard feature with either the 6-speed manual or the optional 7-speed Doppelkupplungsgetriebe (PDK) transmission. With manual transmissions, the top track speed for the Boxster GTS is 174 mph and for a Cayman GTS is 177 mph. They offer as standard equipment unique front and rear fascias, blacked out Bi-XenonTM headlights with the Porsche Dynamic Light System, 20-inch Carrera S wheels and a sport exhaust system with black tailpipes. The Boxster GTS is priced from $74,495 and the Cayman GTS is priced from $76,195, (including destination charges of $995). Both models will be available for delivery this summer. 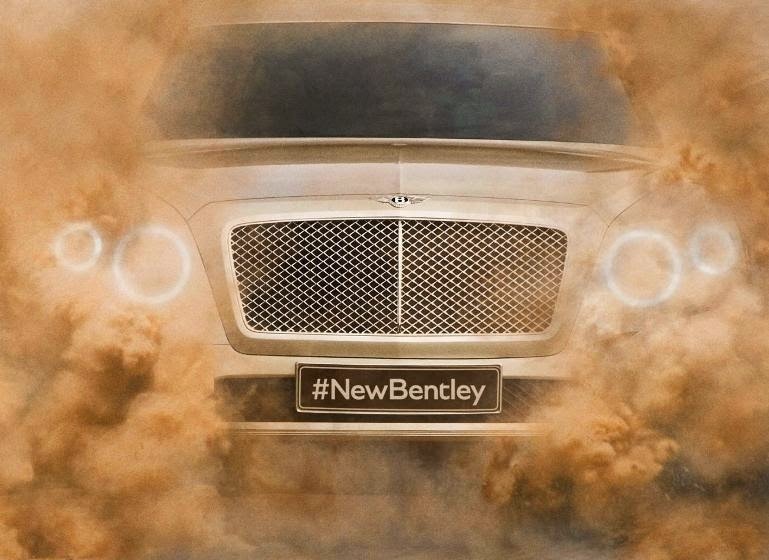 Bentley Motors anticipates a minimum annual sales volume of 3000 SUVs when they hit roads in 2016. The new 2015 Mercedes-AMG S63 AMG 4MATIC Coupe with the 577 horsepower AMG 5.5-liter V8 biturbo engine mated to the AMG SPEEDSHIFT MCT 7-speed sport transmission has a 0 to 60 mph estimated time of 3.9 seconds taking it to a top speed of 186 mph. The lightweight construction which includes the entire aluminum outer skin and the front end has reduced the vehicle weight by up to 140 pounds. There are three modes to choose from: "C" (Controlled Efficiency), "S" (Sport) and "M" (Manual) and the ECO start/stop function is standard. World premiere at the mid-April New York Auto Show and market launch this year. 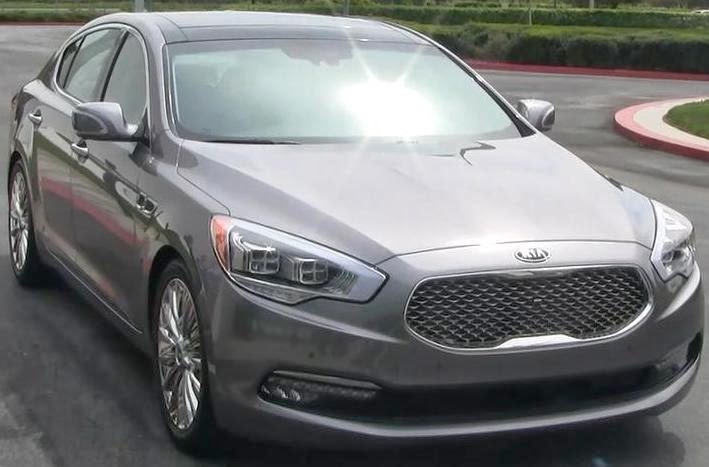 The all-new 2015 Kia K900 is offered with a 311 horsepower 3.8-liter Lamba V6 that will be launched sometime after the 420 horsepower Tau DOHC all-aluminum 32-valve five-liter V8 engine which just went on sale starting at $60,400 (including $900 in destination charges) for the K900 V8 Luxury model. The K900 comes with a three-year, 37,500-mile complimentary scheduled maintenance program covering the first five service visits at participating Kia dealerships. Standard on the V8 are adaptive LED headlights with 16 LED bulbs, heated wheel, Nappa leather, 12-way adjustable driver’s seat including power lumbar support, front seat multi-stage heating and ventilation, Blind Spot Detection System, full-length panoramic roof with power retractable sunshade, and a 900-watt Lexicon high-fidelity audio system with a trunk-mounted 12-channel digital amplifier feeding 17 speakers. 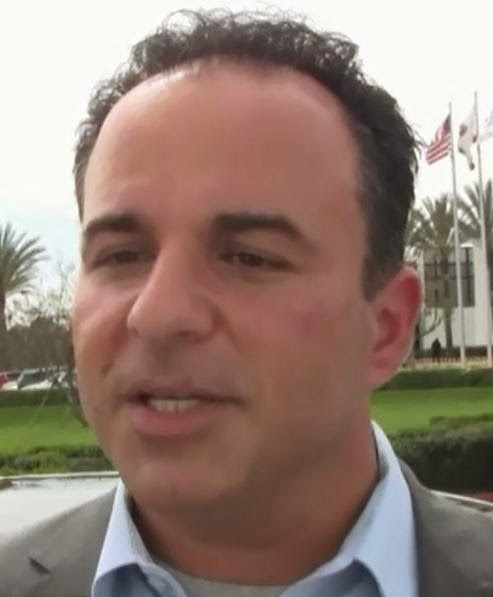 Eddie Rayyan, Kia Motors America, Product Strategy Manager discusses the all-new Kia K900 luxury sedan. The V8 VIP Package K900 sells for $66,400 and has Head-Up Display, a TFT instrument panel with a 12.3 inch full-color LCD screen, seats with the ability to independently recline and incorporate power lumbar support and lateral headrest adjustability, a Lane Departure Warning System and a Surround View Monitor system which utilizes four wide-angle mini-cameras at the front and rear and within the outside rear view mirrors. 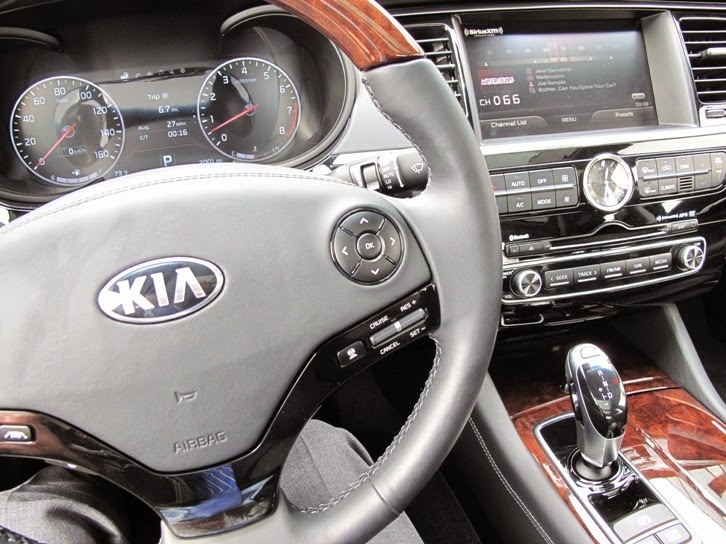 The K900 V8 VIP Package also includes a radar-based Advanced Smart Cruise Control that adjusts vehicle speed to help maintain a set distance to the vehicle in front and has the ability to bring the K900 to a full stop. The system will also automatically accelerate the vehicle once traffic allows. The Koenigsegg Agera R made of a carbon fiber with aluminum honeycomb chassis is powered by an 1140 horsepower twin turbo superchargered aluminum 5.0L V8 engine mated to a 7-speed dual clutch transmission that can take it to a reported top speed of 273 miles an hour. At a price upwards of $1.6 million, the Agera R can sprint from zero to 200 mph in 17.68 seconds. The two-door, two seater roadster hypercar has a removable glass hardtop stowable under the front hood and comes with an adaptive rear wing, front winglets, rear view camera, Aircore carbon fiber wheels and new Aero exhaust. The Agera R is a flexfuel car running on both E85 biofuel and 95 octane fuel. Gas has less octane than ethanol E85 so the power is reduced to 960 horsepower. From the land of Volvo and Saab, Koenigsegg Automotive AB is based in Sweden and will show off one of these cars next month at the New York Auto Show. 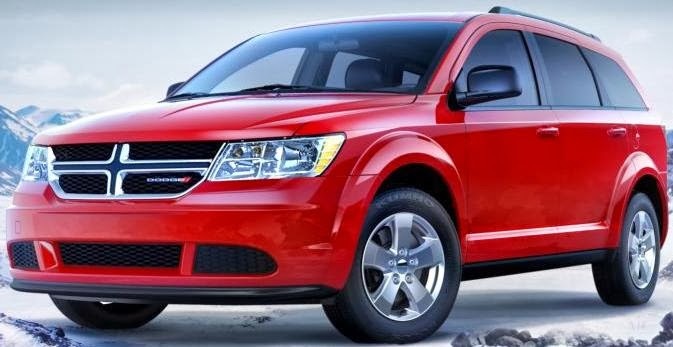 The 2014 Dodge Journey mid-size crossover with available seven-passenger seating gets the 283 horsepower Pentastar 3.6-liter V-6 engine mated to a six-speed automatic transmission and all-wheel drive on SE models which start at $25,890 (including $995 destination). The powertrain delivers up to 24 mpg on the highway in AWD Journey models and 25 mpg for front-wheel-drive models. 2014 Dodge Journey models are built in Toluca, Mexico. 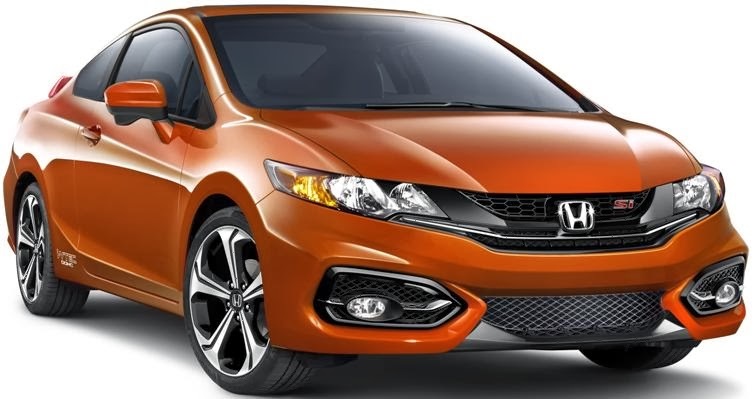 The restyled 2014 Honda Civic Si Coupe with a 205 horsepower 2.4-liter i-VTEC® DOHC 16-valve engine delivering 174 lb-ft of torque and mated to a close-ratio, 6-speed manual transmission goes on-sale today starting at $23,580 (including $790 destination charge) followed by the Si Sedan on March 26 starting at $23,780. For 2014 the Si Coupe and Si Sedan add as standard equipment Honda's new 7-inch Display Audio touchscreen, which uses a smartphone-like interface, allowing users to swipe, tap and pinch their way through audio, phonebook, media, vehicle information and available navigation features. The display is also the interface for the next generation HondaLink™, the application based platform that connects customers to smartphone-provided online content both inside and outside the car. Also standard on the 2014 Si is the convenient Smart Entry with Push Button start, expanded view driver's mirror and Honda LaneWatch™ display for enhanced driver visibility. 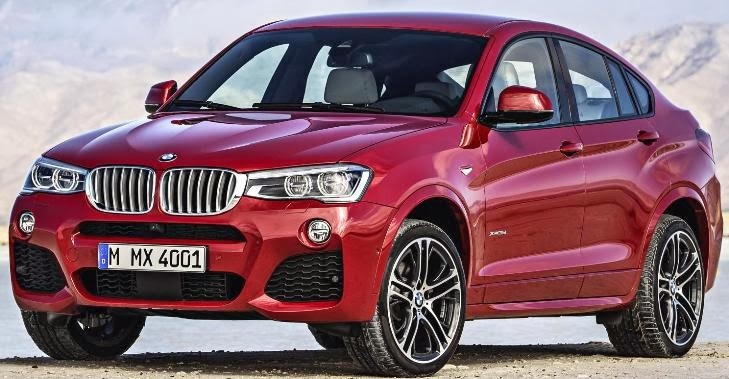 The all-new BMW X4 xDrive28i Sports Activity Coupe with a 240 horsepower 2.0-liter four cylinder engine has a Manufacturer’s Suggested Retail Price of $45,625 and the X4 xDrive35i, with a 300 horsepower 3.0-liter inline six engine has an MSRP of $48,925. Both models include an 8-speed Steptronic sport automatic transmission with shift paddles as well as xDrive, BMW’s intelligent all-wheel drive system. At 184.3 inches in length, it is 0.6 inches longer than the X3 and is 1.5 inches lower. The X4 concept was introduced in Los Angeles last November. The MINI Clubman Concept, longer and wider than the current model, with four doors and five seats. 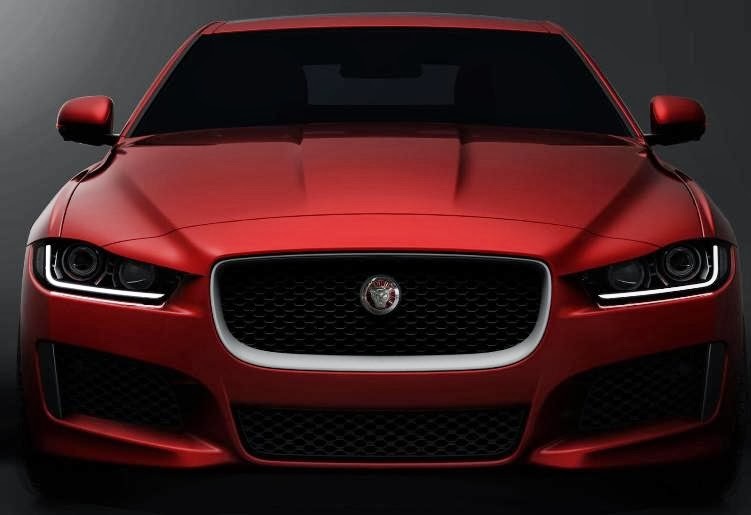 The Jaguar XE all-new compact sport sedan with new advanced aluminum architecture will launch globally in 2015 and comes to the United States in 2016. The new Ingenium engine line will also offer a flexible engine architecture that can be configured to suit in-line and transverse installations and can be used in both rear-wheel drive and all-wheel drive configurations. 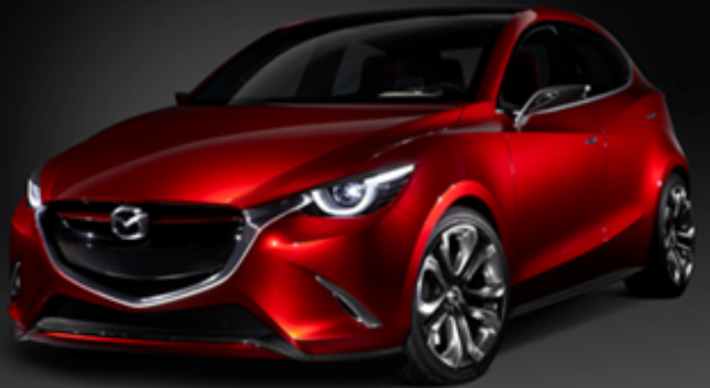 Mazda HAZUMI is the next-generation Mazda 4-passenger, 5-door subcompact concept model with the SKYACTIV-D 1.5, a newly developed small-displacement clean diesel engine i-ACTIVSENSE safety features. Mazda is focusing on four key areas with its new generation models; KODO—Soul of Motion design language, SKYACTIV TECHNOLOGY, Mazda Proactive Safety, and a new car connectivity system called Mazda Connect. The MAZDA HAZUMI unveiled at this year’s Geneva Motor Show brings together all four of these elements. The Rolls-Royce Ghost Series II re-designed and updated. General Motors delivered 222,104 vehicles in the United States in February 2014. Total sales were down 1 percent compared with a year ago. Year-to-date sales are 393,590, down 6.1 percent from last year. Ford Motor Company U.S. total sales of 183,947 vehicles in February are down 6.1 percent from a year ago. Retail sales of 125,919 vehicles are off 4 percent. Year-to-date sales of 338,591 is down 6.5 percent from 2013. Toyota Motor Sales, U.S.A. reported February 2014 sales results of 159,284, a decrease of 4.3 percent from February 2013. Chrysler reported U.S. sales of 154,866, an 11 percent increase compared with sales in February 2013 and the best February sales since 2007. Year-to-date sales of 282,049 is a 10 percent increase over last year. Nissan announced total U.S. sales for February 2014 of 115,360 units, an increase of 15.8 percent compared to last year. Year-to-date sales of 205,830 is an increase of 14 percent from 2013. American Honda Motor reported February 2014 Honda and Acura vehicle sales of 100,405, down 7 percent from 2013 and year-to-date sales are 192,036, down 4.8 percent from last year. Hyundai Motor America announced February sales of 49,003, down 6 percent from a year ago. Year-to-date sales of 93,008 is a drop of 3.1 percent from a year ago. Kia Motors America reported February sales of 41,218, only 287 vehicles fewer than a year ago. Year-to-date sales are 78,229, a 0.5 percent increase over last year. Subaru of America announced continuing record sales with February sales of 34,909, a 24 percent increase over February 2013. Volkswagen of America reported February sales of 27,112, a 13.8 percent decline from February 2013. Year-to-date sales of 60,474 is a 16.3 percent drop from the first two months of 2013. Separately, Audi reported February 2014 sales of 10,881 vehicles, just 4 more than a year ago giving Audi it's 38th consecutive month of record monthly sales. Year-to-date, Audi has sold 20,982 vehicles, a 0.2 percent increase over 2013. Mercedes-Benz USA (MBUSA) reported sales of 24,971 across the Mercedes-Benz, Sprinter and smart model lines, a 3.8 percent increase over February 2013, making it the highest volume on record for the month. The Mercedes-Benz brand alone achieved record February sales of 22,609, increasing 2.6 percent over last year while Mercedes year-to-date sales were 45,213, up 1.5 percent. Adding year-to-date sales of 2,709 for Sprinter Vans and 1,462 units at smart, MBUSA achieved a year-to-date total of 49,384. The BMW Group in the U.S. (BMW and MINI combined) reported February sales of 24,476 vehicles, a decrease of 4.4 percent from the same month a year ago. Year-to-date, the BMW Group is down 1.2 percent on sales of 45,272 in the first two months of 2014 compared to the same period in 2013. Mazda North American Operations reported February U.S. sales of 24,431, a decrease of 2.4 percent versus last year. Year-to-date sales through February are down 6.7 percent versus last year, with 43,155 vehicles sold. Volvo Cars reported retail sales of 3,991, down 18 per cent versus February 2013. Porsche Cars North America February 2014 sales of 3,232 vehicles was an increase of 15 percent compared to the same period last year and making it the best February on record for Porsche in the U.S. Year-to-date sales of 6,328 is three percent more than in the first two months of 2013. The 2015 Lexus RC 350 F SPORT, with more than 450 horsepower, has the same width as GS and a shorter wheelbase than the IS sedan and it's the third RC model joining the RC 350 sport coupe and RC F performance model.